Like the enticing taste of its namesake, the Calvados will lure you in and have you falling in love. This 2013 Salona 38 features 3 double bed cabins, with an additional 4 berths in its spacious salon. 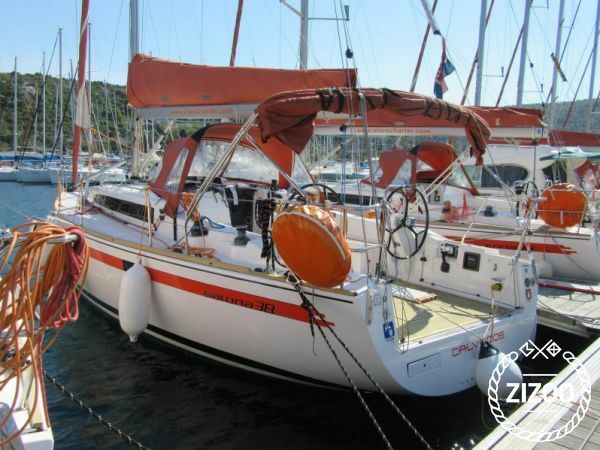 Gather your friends and book this boat for a fantastic holiday on the Croatian coast. Based in Primosten, just south of Croatia's historic city of Sibenik, this boat will take you to some of the Adriatic's most spectacular locations. Enjoy the breeze as it propels your sails while you bask under the glorious Dalmatian sun. For the ultimate carefree holiday consider splurging on a skipper, hostess and chef. There is no better way to relax and recharge your batteries than when someone else is taking care of your every need. So pack up your bathing suit, towel and sun lotion and embark on a holiday you won't soon forget. For assistance in planning and coordinating and to answer any other questions you may have, please feel free to contact the local charter crew.